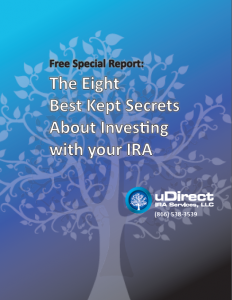 There are many reasons why you should consider a self-directed IRA for your retirement. We will not only discuss the reasons, we will also educate you on what makes a self-directed IRA, why you should consider one, and why they are so important for your retirement future. We highly recommend reviewing your investment strategies with your tax professional and financial adviser. Just because it is tax-free or tax-deferred doesn’t always mean that it is better than other strategies, so make sure to run the numbers. 2. How did self-directed IRAs evolve? 3. Why do I need a self-directed IRA? 4. What can I invest in with a self-directed IRA?